New York: Steeped in heat, stewed in humidity, spiced by an array of upsets and shaken by a chaotic women’s final that produced a new and deserving champion, an eventful US Open ended on Sunday with a heartening display of gritty tennis and good sportsmanship. Novak Djokovic and Juan Martin del Potro were friends long before each suffered significant injuries. 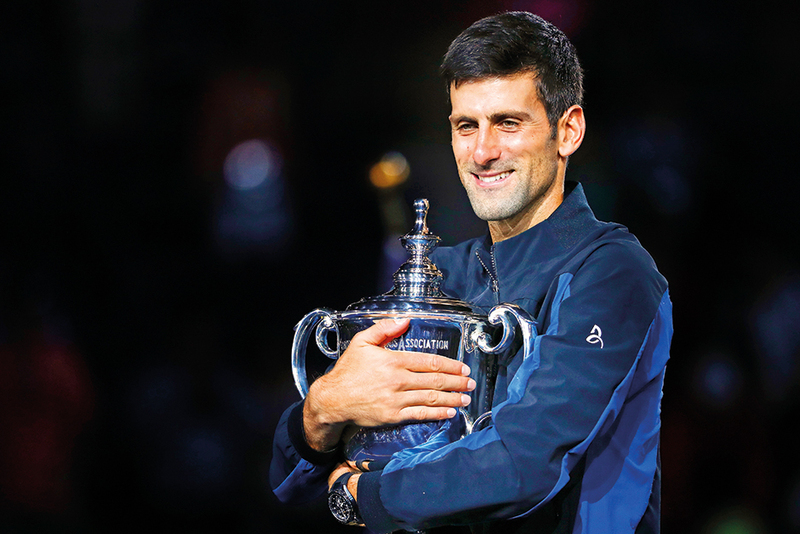 Djokovic experienced two years of pain before he missed six months’ competition and underwent elbow surgery early this year; Del Potro required four procedures to repair his wrists and, as recently as 2015, was depressed and fearful about his tennis future. Their misfortunes bonded them and provided a touching backdrop to their embrace at the net Sunday. Djokovic, patient and strong through two punishing weeks, became a three-time US Open winner and 14-time Grand Slam champion with his 6-3, 7-6, 6-3 victory over Del Potro under the roof at Arthur Ashe Stadium. Djokovic is tied for third with Pete Sampras for the most career Grand Slam singles titles, behind Roger Federer (20) and Rafael Nadal (16). After he had won his 16th straight set and 21st of 23 here, Djokovic dropped to the court on his back, his arms and legs outstretched as he soaked in the applause and the moment. When he rose and met Del Potro at the net they embraced for several seconds as their joy and disappointment mingled. “I’m very sad for being a loser today. But Novak deserved to take the trophy. He played a great match, very smart game,” said Del Potro, who was again supported by the chants and cheers of the childhood friends, who followed him here from his hometown of Tandil, Argentina. The pivotal moment that propelled Djokovic closer to the title and the $3.8 million winner’s cheque was the eighth game of the second set. They battled for more than 20 minutes and went to deuce eight times. Del Potro had three break points to go up 5-3 but fell short when he produced a couple of stray forehands and Djokovic pulled even at 4-4. After each held serve and sent it to the tiebreaker, Djokovic won the set on another errant forehand by Del Potro. After that, he beat Kevin Anderson to win Wimbledon for the fourth time and defeated Roger Federer in straight sets in the final of a pre-US Open tournament in Cincinnati. “Winning a Slam, any Slam, gives you huge confidence that you carry with you for a certain period of time,” he said. Although the 20-year-old Naomi Osaka broke through to win the women’s title, one of the “Big Four” of Federer, Djokovic, Andy Murray and Rafael Nadal — now really the Big Three because of Murray’s injury-related decline — held off their next-generation challengers. One of the four has won 12 of the last 15 US Open titles and 50 of the last 55 Grand Slam titles. Djokovic, 31, is likely to add to those totals. That’s reason to feel good.